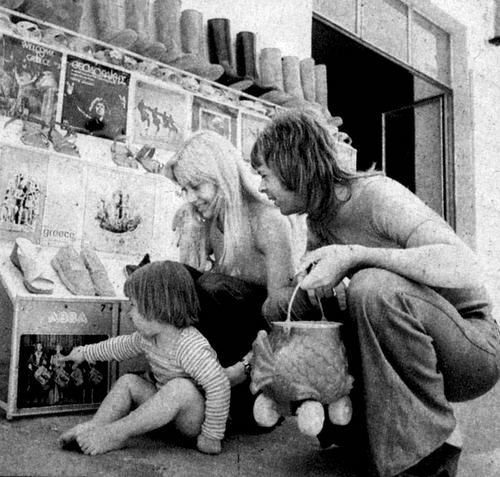 Benny & Frida hugging in their Waterloo costumes in 1974 and Bjorn & Agnetha spending free time with daughter Linda in 1975 who points at an ABBA cover! How much adorable these pics can be? I love them!